Have you ever heard of Zentagles? I have also seen it called zendoodling. 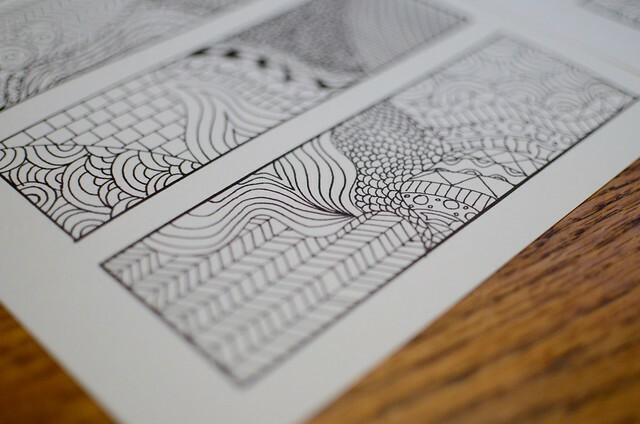 I stumbled upon this method of drwaing on Friday when searching for some printable bookmarks. 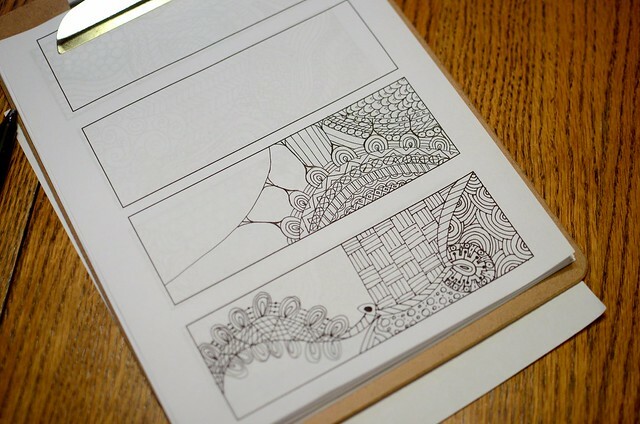 I have always really enjoyed doodling, but have never put much thought into it. 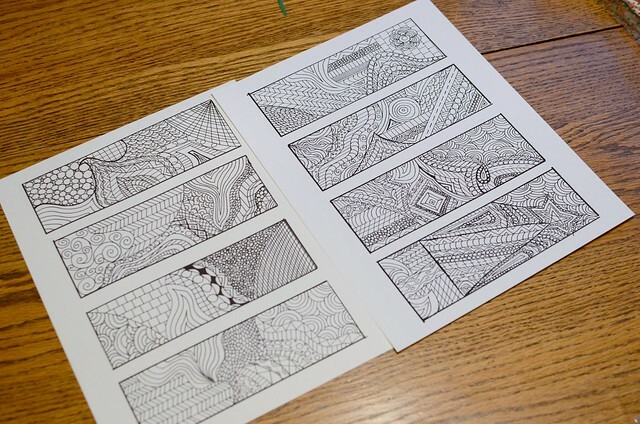 When I saw some examples of Zentangles, I knew I had to give it a try. Since Friday, I have been drawing non stop. It is such a stress reliever for me. It is also highly addictive. 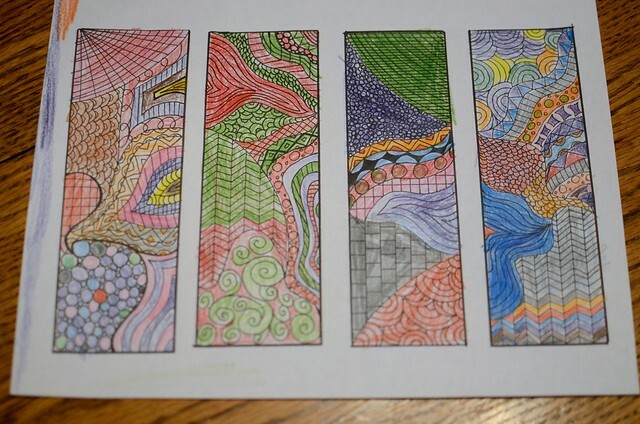 Here are a few of the bookmarks I have made so far. Here's a couple of works in progress. I copied some for Harper so she could color them. I was interested to see how she would color them. I am making the goody bags for Harper's Christmas party at school. So I thought I would include a bookmark in each bag. I hope the kids have fun coloring them. After making several I decided to create a template. I have included a link to my template if you want to give it a go. I also included some bookmarks for download in case anyone is interested. Sweet! Thanks Jen and Happy Holidays to you and yours!